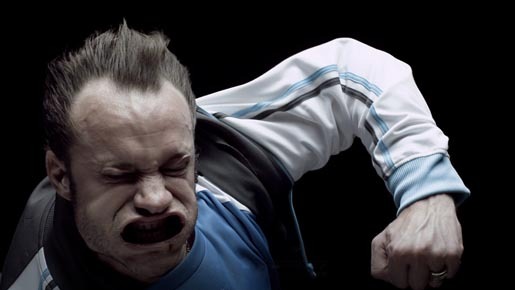 Fédération Nationale Solidarité Femmes (FNSF) is celebrating twenty years of domestic violence information with “Le Souffle” (Breath), a television commercial in which violent men are blown away. Supported by PPR Foundation for Women’s Dignity and Rights, the commercial is being screened on the TF1, France Télévision and Canal+ networks, online as well as during half-time in all stadiums in France from 19 November 2012. The campaign, developed pro bono at W&Cie, Paris, is timed to coincide with International Day for the Elimination of Violence Against Women, November 25. Each year, the W&Cie teams volunteer their time and creativity to support a cause that they feel strongly about. This year the agency decided to promote 3919, the “Domestic Violence Information” call number. This number plays an important role in France, as currently one out of ten women is the victim of domestic violence, and one woman dies every two and half days from the blows inflicted by her partner. This number allows victims to initiate the first line of defence: talking to someone about the problem. They can free themselves and escape the vicious circle of shame. The film is based on a simple idea: breath. The breath we use, for example, to blow out birthday candles – but also the breath of air that gives us the strength to reject violence. Throwing this lifeline to all women who are not yet aware of the 3919 number is the fundamental aim of this film. The number of 3919 calls increased significantly following campaigns against domestic violence. Each year, over 30,000 women receive the support of Women’s Solidarity associations. In the past 20 years, there have been 350,000 calls to 3919. Le Souffle was developed at W&Cie, Paris, by creative director Ivan Pierens, art director Arnaud Wacker, copywriter Renan Cottrel, account director Grégoire Weil working with Fédération Nationale Solidarité Femmes (FNSF) vice president Françoise Brié. Filming was shot by director Wilfrid Brimo via Wanda Productions with director of photography Nicolas Loir. Music, “Power Seduction Cries”, is from the Black Swan original soundtrack by Clint Mansell, produced at THE, Paris.